Traditional chiropractic care focuses on reducing muscular tension, improving range of motion, and decreasing pain. While these results are great, many times they are temporary. Ongoing or chronic issues do not resolve unless the underlying causes of the issues are being addressed. Structural Chiropractors use objective measures to ensure that not only are patients feeling better, but their spines are healing and functioning better. 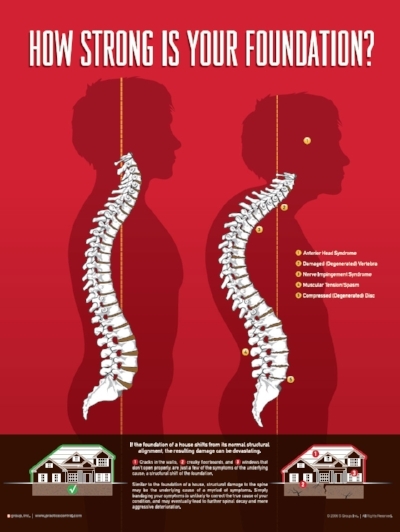 Through structural posture evaluations and structural radiographs, Structural Chiropractors detect structural shifts in the spine, which many times lead to pain, inflammation, and lack of mobility. By correcting the structural shifts, the foundational cause of spinal dysfunction is corrected.